The illumination of the Annunciation is from a 14th century vellum manuscript from an Antiphonal in the Free Library of Philadelphia. 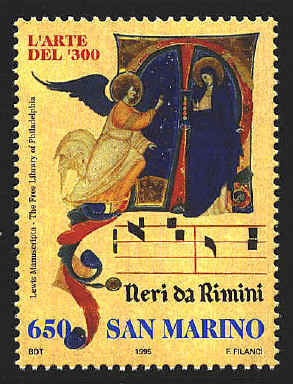 The illuminations are attributed to Neri da Rimini who flourished in the early 14th century. Rimini is a town in north-east Italy.